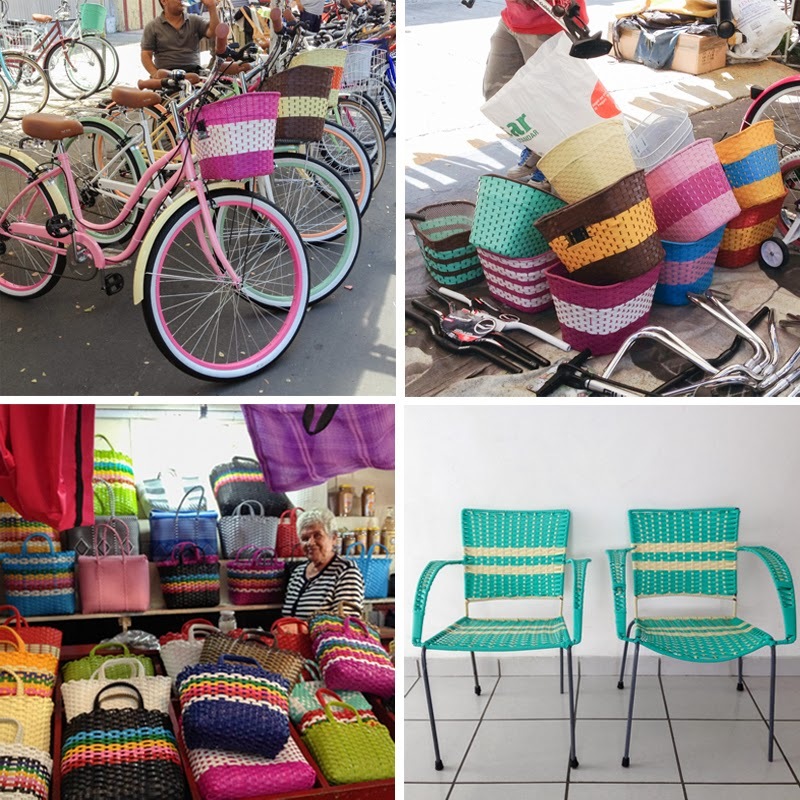 Here in Mexico you can find a lot of nice things designed and hand crafted in plastic, such as bags and chairs. They have been used for many years and are still being produced. 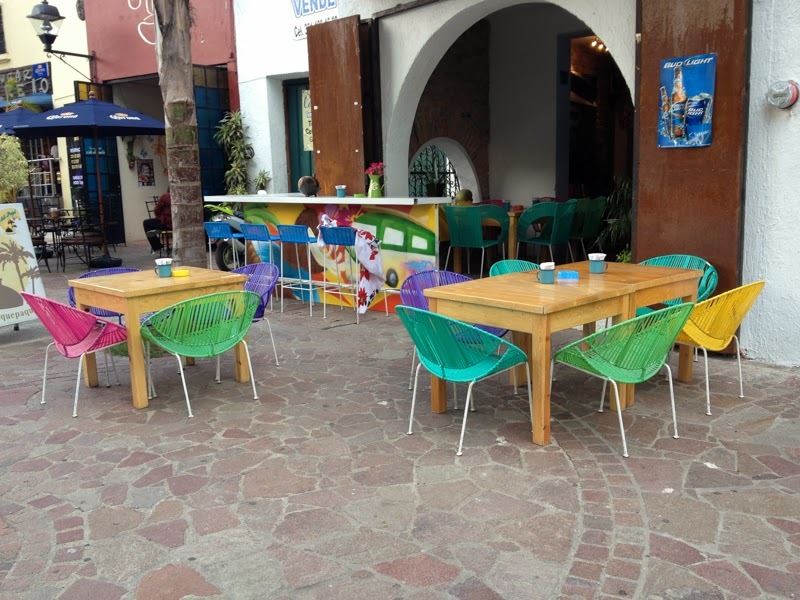 Lately, the chairs are seen very often at trendy bars and restaurants. You can still find them at a good price here and the plastic thread that is used is very cheap. 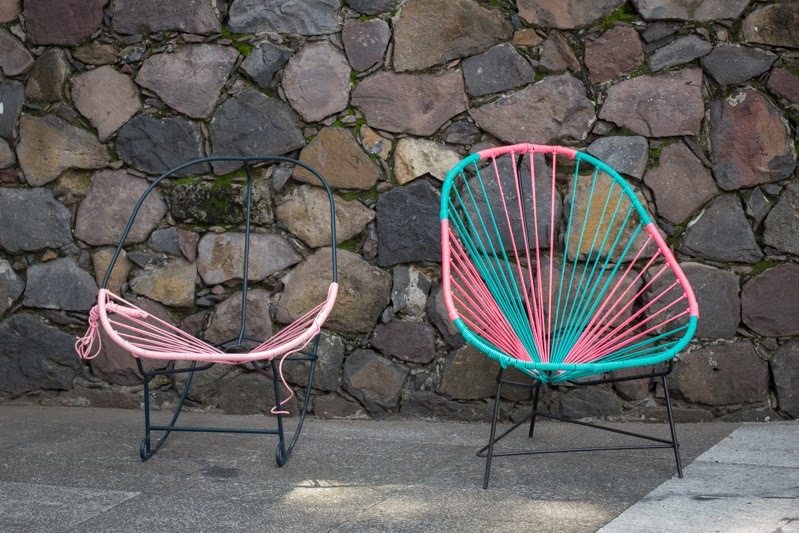 At some places you can see persons making the chairs on the street and selling them to a good price. 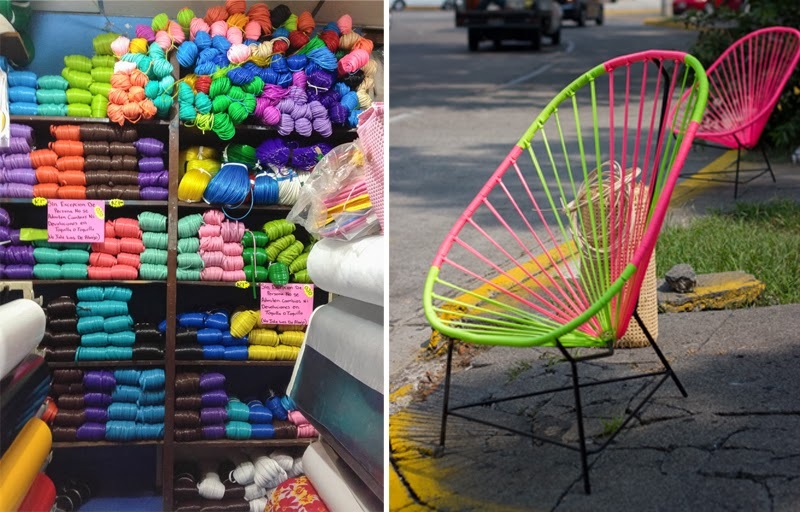 But maybe I will just buy some thread and try to make one myself when I get back to Sweden, a chair or two would be great to buy but hard to take home :S..
Threads in all colors and the lovely Acapulco-chair. 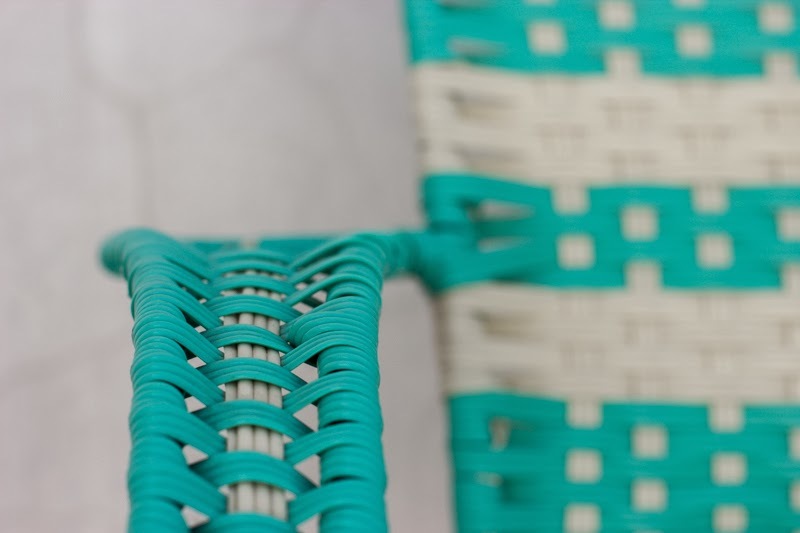 An Acapulco rocking chair to the left not yet finished and an original completed one.